The Broken Spoke is our personal preferred destination for all things road-bike-related. 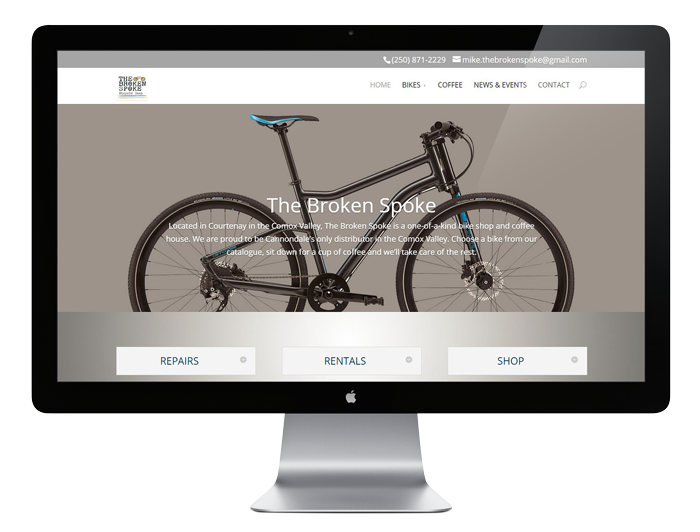 The friendly owners asked for a website that would create a feeling of modern effectivity, serve as a virtual gateway to the distribution service they provide for Cannondale, and remain as personable as they are. *Kudos to Ania of Simply Rooted Media for the original design concept and some custom coding of this website.